• PhD in Chemistry at the Scuola Normale Superiore di Pisa in 1992, studying and researching in Pisa, Milan, and United States (UW-Madison). Since 1994, research and teaching at the Chemical Plants Dept. (now DII), University of Padua (Engineering Faculty), beginning new experimental and theoretical investigations, contributing to several fundamental and applied courses, tutoring more than 150 Bachelor and 15 PhD Theses. Research activity: applied kinetics, with special interest on multiphase reactors (mostly fluid-solids interfaces). Both experimental and theoretical (modeling) methods are routinely used and combined. Interest focuses on the combination of detailed surface chemistry (microkinetics approach) and complex flow modeling through CFD, mostly on catalytic applications. To date, more that 120 papers have been published, mostly on international peer-reviewed journals, including contribution to edited books as well as two textbooks (Applied Physical-Chemistry and Chemical Eng.Thermodynamics). Several research projects have been coordinated, mostly involving industrial partners and addressing innovation in real applications. Teaching is in the Chemical Engineering, Material, Environmental, and Energy curricula. 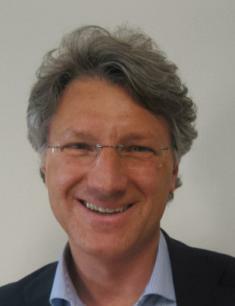 Former Coordinator of the School of Chemical Engineering in Padua (2006-2010). Ingegneria di sistemi reagenti, spesso coinvolgenti più fasi (S/L/G), mediante tecniche sperimentali e simulazioni, anche 3D. - Tecnologie dei materiali granulari. Caratterizzazione delle proprietà, con particolare enfasi su flowability; operazioni unitarie; sperimentazione e modellazione 3D. Ricerca svolta in affiancamento del Prof. A. Santomaso. Vedere l'<a href=https://www.research.unipd.it/>archivio pubblico</a> dell'Ateneo.